We actually had the opportunity to become wordless--or rather speechless--last Sunday during our latest family outing. A friend (thanks, Kari) suggested that we visit Rising Park in Lancaster, Ohio--about 30 minutes east of Columbus. It is an amazing place--with Mount Pleasant offering visitors a bird's eye view of the city of Lancaster and beyond! These were a few of our favorite photos of the day at Rising Park in Lancaster, Ohio. The steep climb to the summit of Mount Pleasant involved quite a bit of huffing and puffing--but, some great scenery. 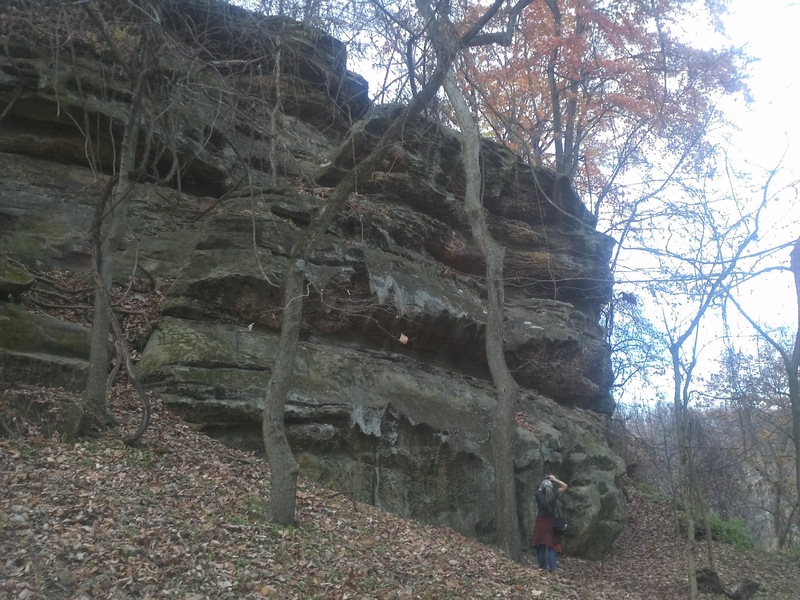 Can you see the Indian head profile on the upper right of this rock formation? 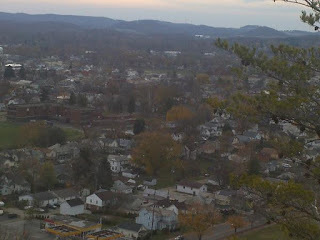 The view was the reward for conquering Mount Pleasant. 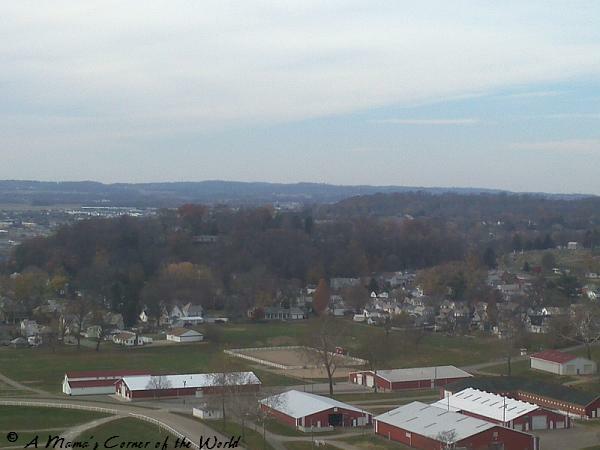 We could look down into the Fairfield County Fairgrounds--and literally see for miles beyond the city. 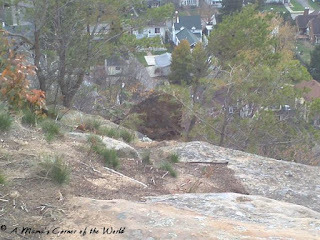 Onlookers can literally go out onto the rock ledges. There is only a slight railing protecting visitors. 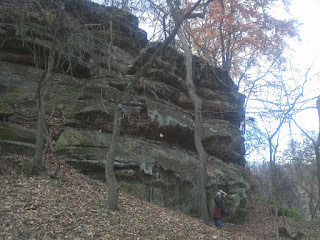 A young girl fell from the ledge recently--so, I was more than a little apprehensive as I watched other parents letting even toddlers climb out to the edges! It was a quick reminder that we have so much to explore and experience! It was amazing to discover this hidden gem so close to home--and the husband, the girls and even Max the Dog agreed that it was a good day to be speechless! That was our latest Wordless Wednesday worthy photo array--are you ready to share your Wordless Wednesday posts? This #WW blog hop is now in it's fifth week--and we are so excited that you are here! 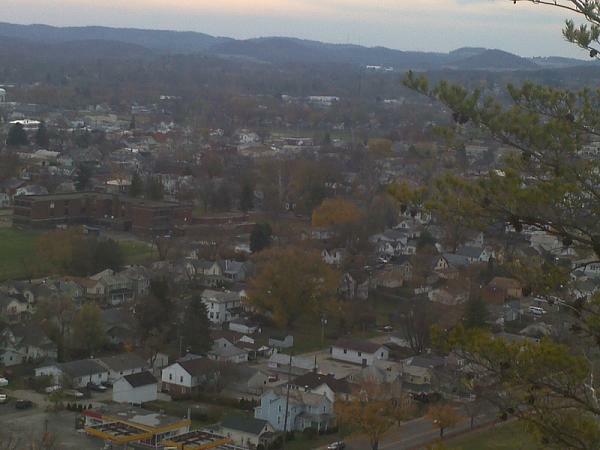 Rising Park and Mt.Pleasant look beautiful! I linked up, too, with a 'places' post. 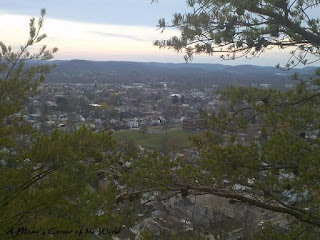 I wasn't sure if it was a specific themed Wordless Wednesday or not! Sounds like a great place to visit. you are invited to our hop: http://www.craftyspices.com/hops/wwhop Happy WW!! Love the photos, you have some beautiful shots, I bet it was a fun day! Hi, I’m Anne from Life on the Funny Farm (http://annesfunnyfarm.blogspot.com), and I’m visiting from Crafty Spices WW. Wow, I'll bet you were glad you took the advice of your friend! Such beautiful views. Must have been quite spectacular in person. What great pictures and beautiful views. I'm stopping in and following now:) Happy Wednesday! I have not done that walk yet - I will have to do it one day. Thanks for being a gracious host. Those are some great pictures. 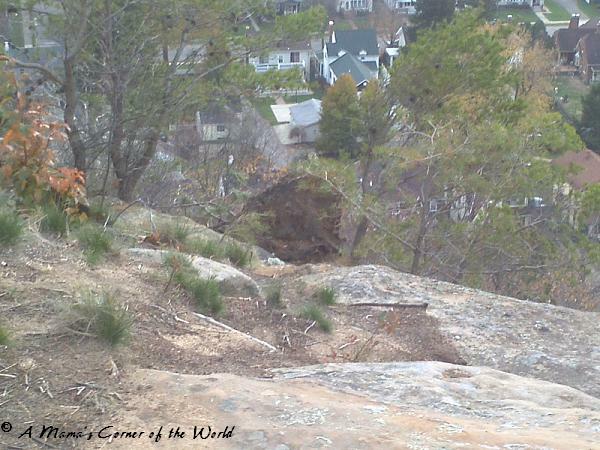 Thanks also for hooking up with my Wordless Wednesday. Hope to see you back next week.